I am a city girl. But I do like to know where my food comes from, beyond just the “store”. Due to food allergies I have a limited diet. I also really like food. Over the last several years I am totally smitten with Farmer’s Markets. It is an awesome experience to speak to the Rancher who grew the meat for dinner, the Fisherman that caught the Salmon in Alaska, and now I can hang out with the COWS that my milk & ice cream comes from! 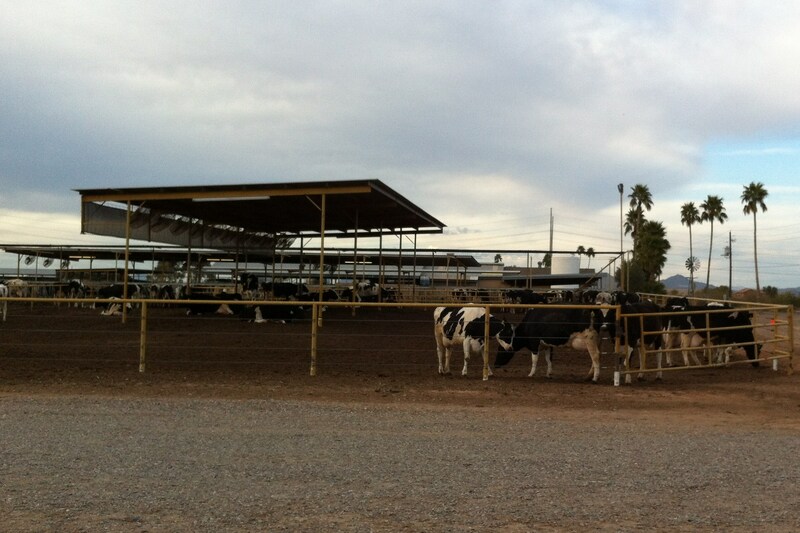 Superstition Farm is a family owned dairy farm and country store in the outer fringe of Mesa, Arizona. 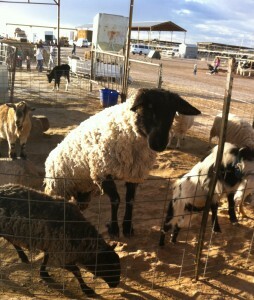 SuperFarm is home to a goats, sheep, rabbits, chickens, and of course, cows! This is a real working dairy, so they have cute, happy, healthy cows. My studies show that milk just tastes better when it comes from happy, well adjusted adorable cows. True Story! A local grocery store pops-up on this dairy farm every Thursday night at the SuperFarm. Ice cream, milk, and dairy from the farm are available, as well as local farmers and ranchers bring food to sample and purchase. We sampled some delicious farmer’s cheese, fresh butter, local Arizona Honey, and fresh fruit from a local orchard. This Thursday, we had a special treat of an all you can eat “POP UP PIG OUT” for $15 per person. We ate pulled pork, coleslaw, ribs, lettuce wrap carne asada, mango pico de gallo, and washed it all down at the milk bar. For $1 you can buy fresh local milk with a flavor of your choice. Skipping the traditional chocolate or strawberry milk, I tried the pistachio and now I have a new favorite drink! After all that food we could have taken a hay ride around the farm, or toasted s’mores around the one of the firepits.